Customer Testimonials & Reviews - Donn Gerelli Insurance Agency, Inc. Customer Ratings & Reviews for Donn Gerelli Insurance Agency, Inc.
My personal and business insurance have been with Donn Gerelli Associates for 11 years. 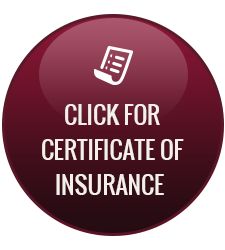 The "test" to an insurance agent is when there is a claim. I could not have had a better claim experience. I highly recommend Donn Gerelli & DGA Insurance Agency! I sit on the board of managers for a condominium association. Donn attends board meetings and annual meetings often. The board and the owners are always pleased with the clear, descripting information provided and discussed during these meetings. Another important quality of DGA is the staff service. They are always able to help any unit owner with banking or claim questions. I highly recommend Donn Gerelli and DGA! I have been a customer for several years. DGA is unfailingly available, responsive, knowledgeable, and things done. I recommend Alana & DGA to anyone looking for help in the field of insurance. It has been a pleasure dealing with Donn Gerelli Associates over the past ten years. Wow did that go fast! Just as quickly as any problems, quotes, mishaps etc. are need...they are handled. They are a true professional in every sense of the word. 5 stars they takes care of everything for me with just a call. Alana has provided sound advice and comprehensive knowledge and service for all of our family's insurance needs. Donn Gerelli Insurance Agency, Inc. received a rating of 5.0 out of 5 based on 5 reviews on IWantInsurance.com.